MINT Wand 2' LED Bloom - FREE Shipping! We proudly introduce to you MINT LED’s new 2' LED Bloom Wand. 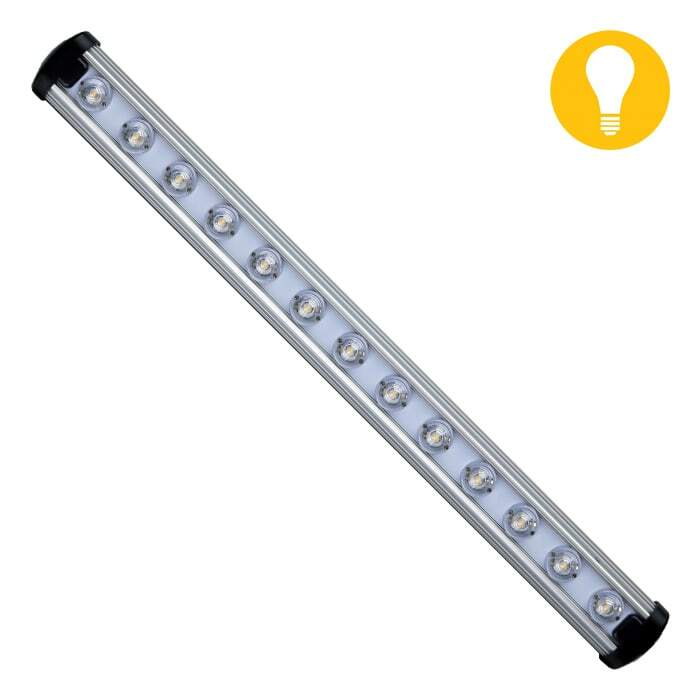 This 2' LED strip light puts out a versatile spectrum for the blooming stage of your plant’s life cycle. The lightweight aluminum design makes this light easy to mount, whether you need lighting for a flowering tent or even supplemental lighting for your grow room. Containing 13 LED Diodes and drawing just 28 Watts (120/240V), this is the perfect lighting solution for your home gardens and tent grows. The unique high transmittances lens guarantees both an outstanding PPFD output and proper lighting coverage! The fixtures IR and UV will also help create the resins you’ve been dreaming about! Get a 2' MINT LED Bloom Wand today and see the magic for yourself!